Ah! the Weekend is almost here. 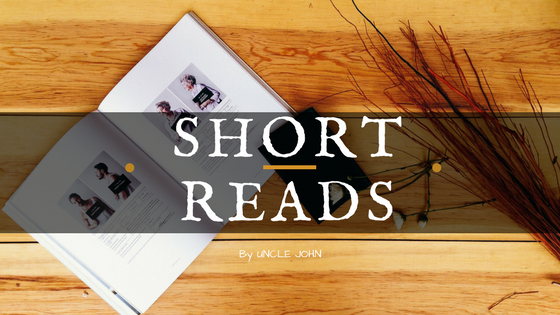 A time to unwind from whatever kind of week you had with Weekend #ShortReads. So how exactly was your week? Exhilarating/Boring/Stressful/Exhausting. I for one had a tough one getting stuff done while trying to engage a pretty ill child. (Enough puke marks on my favourite pair of jeans to remind me of the multi-tasking wars) . But I am not the only one – globally people struggle with jobs that seem more stressful than fulfilling and added demands of lost time in traffic jams, family, health leave little time for oneself. The short reads for this week all revolve around the topic of how people manage a balance (if there is such a thing anymore) and what companies and people are doing to get back the ‘mojo’. For Japanese workers in big cities, a typical work day begins with a state called sushi-zume, a term which likens commuters squeezed into a crowded train car to tightly packed grains of rice in sushi.The stress doesn’t stop there. The country’s notorious work culture ensures most people put in long hours at the office, governed by strict hierarchical rules. Why are India’s startups bringing Steve Jobs, Coco Chanel, and Shakespeare to the office? Would you buy a car made by Apple or Google?